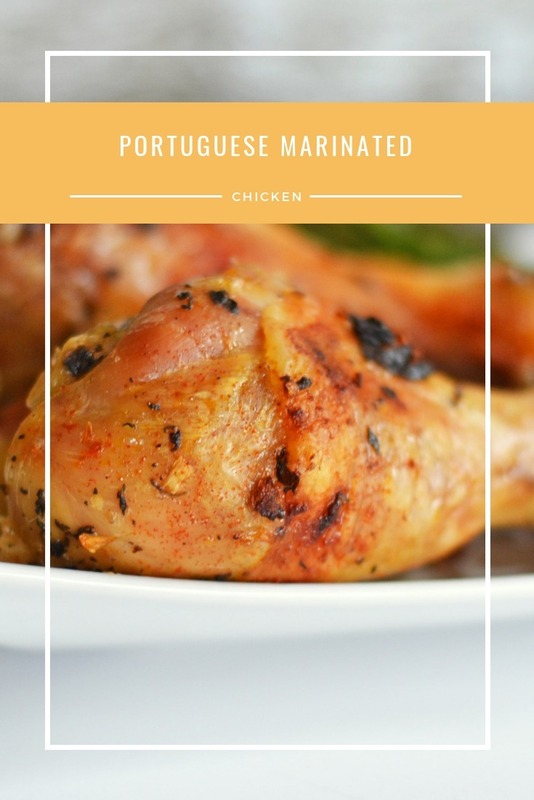 A delicious and classic Portuguese chicken marinade that is loaded with robust flavor and perfect for cheaper cuts of chicken. 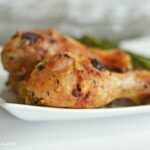 Portuguese Marinated Chicken is a recipe that I grew up with. My father immigrated to New England when he was 9 from St. Miguel Island. He was the youngest child and quickly Americanized, but his love for traditional Portuguese flavors grew. My mom who just has a little Portuguese in her blood quickly learned how to make all sorts of meals, and it turn I learned a lot in the kitchen. I love to marinate cheap cuts of chicken in a simple Portuguese marinade. Wine, ( or beer) crushed pepper, lemon juice, olive oil, Paprika, and lots of garlic are all staples in this culture. Since grilling season has started, I thought I’d share my Portuguese Marinated Chicken Recipe for you all to try out. There are many versions of Portuguese Marinated Chicken out there, but this is one that contains fairly easy pantry staples. I typically like to marinade the chicken overnight, but a few hours works too! Use a zippered freezer bag for easy cleanup and storage in a sometimes packed fridge. I like to serve mine with some grilled asparagus, or peppers, and onions. If you want to grill this, that is also a lovely option for this time of the year. I oven bakes my Portuguese Marinated Chicken using a shallow baking dish and parchment paper for easy cleanup. Place chicken tenders and marinade ingredients in a bowl and allow to marinate for 6-8 hours or longer. 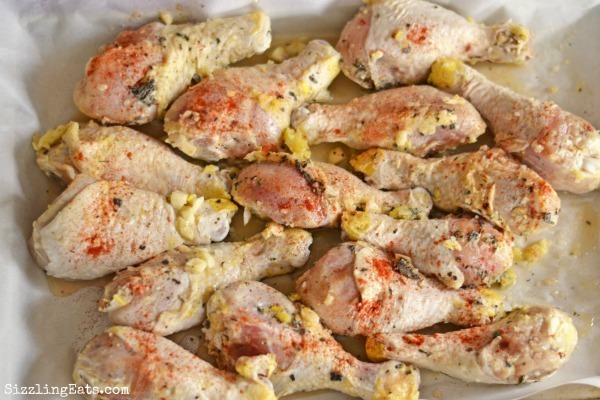 Once they are marinated long enough, prepare a baking dish and heat the oven to 350 degrees. Place the chicken, and marinade in the baking dish and cook for 60 minute covered, and then 30 minutes uncovered at 400 degrees fahrenheit or until skin is crispy. Serve with rice, veggies, or potatoes. 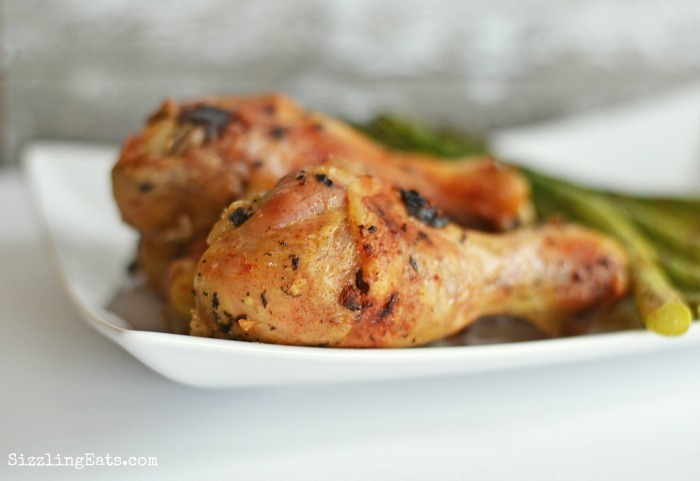 Get the printable Portuguese Marinated Chicken Recipe below! Add all the above spices, and garlic to a large freezer bag; mix around. Add chicken drumsticks to your zippered bag and allow to marinate in the fridge for 24 hours (less if you are short on time). Bake chicken for 60 minutes covered, and 30 minutes uncovered for a crispier skin. Is the second teaspoon of onion powder supposed to be garlic powder? Also the recipe says 1/1 tablespoon crushed red pepper…is it meant to be 1 1/2 or something else?